When Vantage Travel reached out to see if we would document the process of choosing a river cruise as first timers, we immediately accepted! Disclosure: This post is sponsored by Vantage Travel. 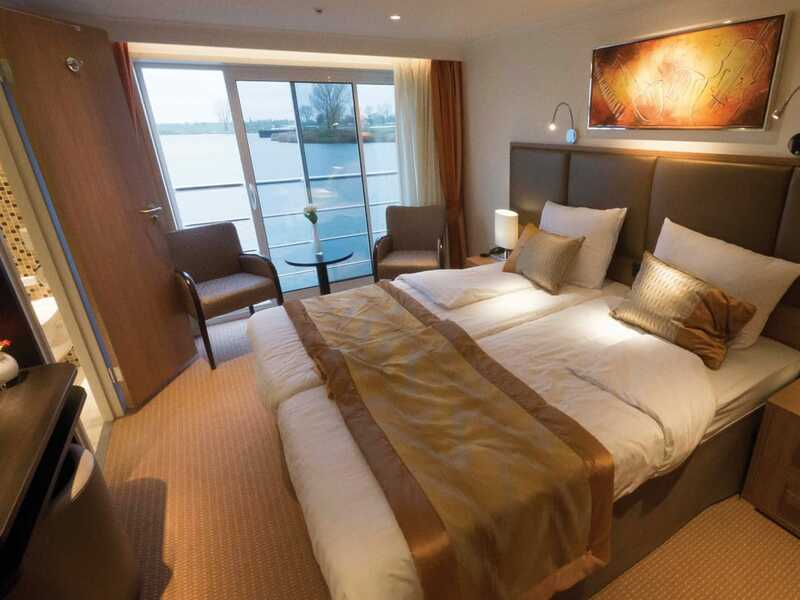 Over the past couple of years, river cruising has regularly popped up on our radar. 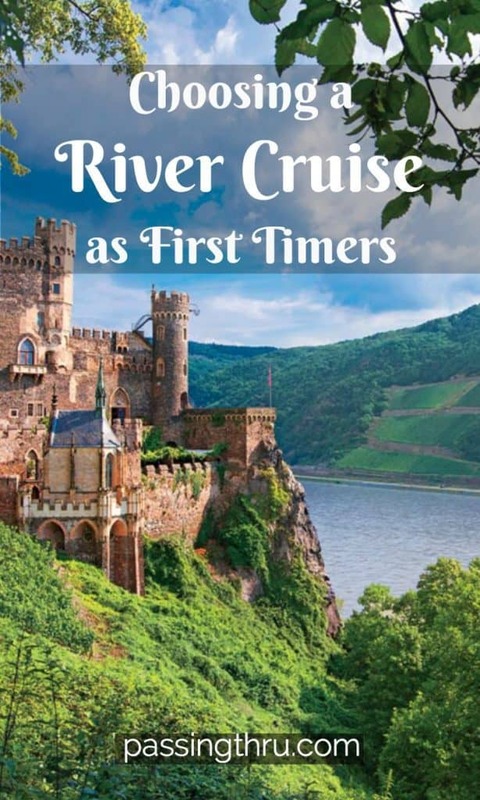 We’ve dreamily perused river cruise itineraries, looked at deck plans and shipboard amenities, and imagined ourselves on any number of voyages. When Vantage Travel recently reached out to see if we’d consider documenting the process of choosing a river cruise as first timers with their help, we were excited to accept! Many of you will decide upon a river cruise to accomplish certain travel objectives. For some, a European river cruise will be your first visit ever “across the pond.” For others, river cruising will be a way to experience new destinations in Europe. Still others who are veterans of European travel will select a cruise to return to favorite locations for a more in-depth perspective, or to focus on special interests. Whatever your motivation, choosing a river cruise as first timers can be somewhat daunting: there is a lot of information to process. Because for most people this is a significant financial investment as well, there is considerable incentive to get things right. Virtually everyone in the know mentions the convenience of river cruising. You arrive, get to the boat, unpack once, settle in to your cabin, and orient yourself to the vessel’s layout. You’ll find out where to eat, drink, and relax on board. After this, you rarely worry about logistics, if at all. The size of the vessel is far less intimidating than a giant ocean-going ship, and ports are conveniently close together. Vantage delivers great value along with this convenience: you get an insider’s perspective from the cruise director onboard and personal concierge level services to customize arrangements (which can be more expensive to do independently) for you when you disembark at the various ports of call. As slow travelers, we know the benefits of unscripted time. Balancing Vantage’s included excursions with our own explorations really appealed to us as we learned more about their philosophy and offerings. As well, the opportunity to zoom in on our special interests – history, gastronomy and art – by arranging extras or choosing a focused itinerary is a big draw for us. If we’ve already visited a country, should we consider revisiting on a river cruise? Or flip side: Should we confine ourselves to itineraries which visit places we have yet to see? What can we do about an appealing itinerary which includes excursions we’ve already made on our own? Will alternative special interest activities be sufficient to engage us? We can be somewhat introverted in groups (not always, but we usually have a personal expiration date). Would we feel that we had the right balance of privacy and interaction with our fellow passengers? We’ve evolved into very “slow” travelers, meaning we don’t like to feel rushed. Is the pace going to be a fit? As well, we’re not really too keen on a lot of strenuous activity. We’d rather ride bikes than walk for great distances; intense hiking or climbing isn’t really our thing either. We heed these limitations, but might we inadvertently hinder others who are more peppy? How much interaction with locals – so important to us everywhere we go – can we expect? Rather than engage in further paralysis by over-analysis, we posed these questions and more to our new friends at Vantage. Along with reassurances that many others choosing a river cruise as first timers had similar concerns, they had a powerful suggestion. Why didn’t we allow them to come up with several recommendations that they thought might be the best fit in light of our considerations? We thought that was a splendid idea. We were happy to see this recommendation, as The Netherlands is one of the few countries in Europe we have yet to visit. When we saw that this cruise also includes Bruges and Antwerp, we were even more interested; these are two locations in Belgium – a country we’ve visited twice – which we have yet to get to. 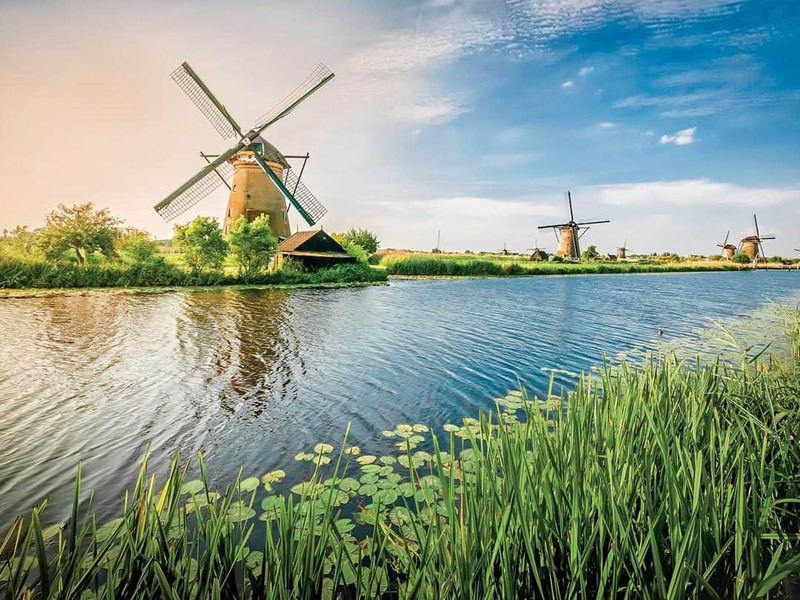 Because Betsy grew up in West Michigan with its strong Dutch immigrant heritage, visiting the bulb growers, Kinderdijk windmills and Keukenof Gardens has huge appeal. Main Details: This is a 10 day luxury journey with 11 sightseeing tours included on Vantage’s newest ships which hold 175 passengers maximum. Dates from March until May of 2018 are designed to capitalize on peak blooming season. Canal cruises in both Bruges and Amsterdam promise atmospheric photo opportunities. Orientation: The Vantage Cultural Connections Lecture Series on board this cruise will present 3 lectures focusing on “Dutch Royals,” “Windmills & Dutch Waterways,” and “Transatlantic Connections” between our countries. Food and Drink: Low country cuisine is a favorite for us (Pete loves Belgian beer! Betsy loves the cheeses! 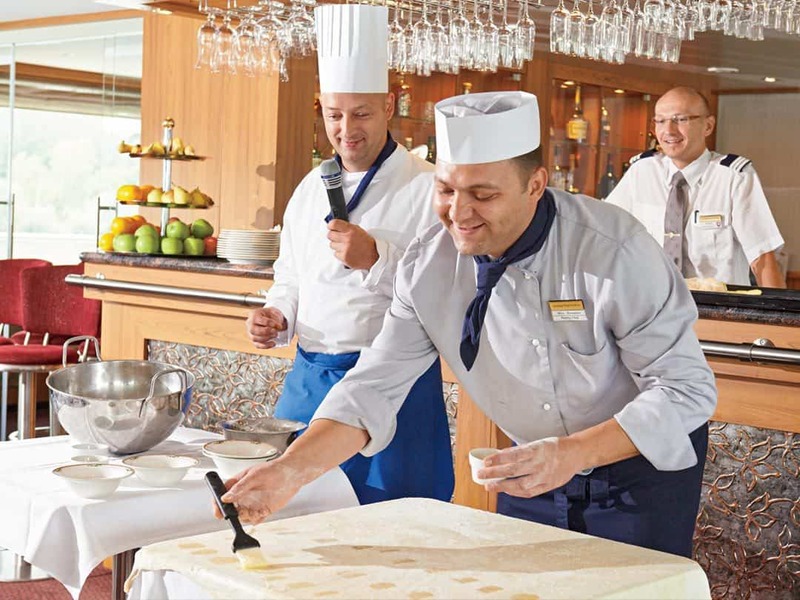 We both love the chocolate – so we’ll enjoy the onboard chocolate making demo). When we saw the opportunity to indulge in regional cuisine at local restaurants was included, that was another positive aspect. Sharing an aperitif in a local home in Enkhuizen provides the interaction we value. Culture: As avid World War II buffs, we noted the Arnhem excursion (site of A Bridge Too Far) along with the opportunity to choose the Liberation Museum tour. 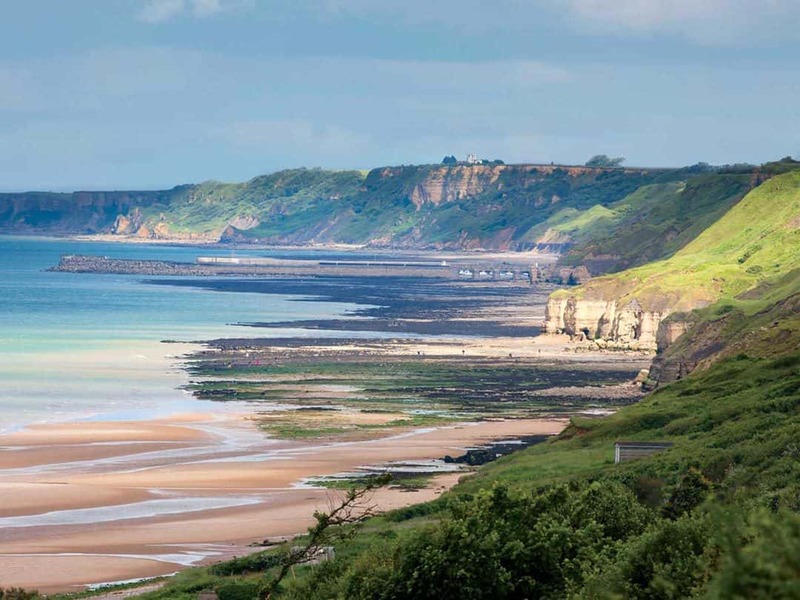 Having visited the Normandy Beaches several years ago, we are anxious to continue visiting WWII-specific sites. As well, the intimate guided Rijksmuseum visit with its Dutch masters and the Antwerp Cathedral’s Rubens paintings are a big highlight. Optional: Pete has long wanted to visit Amsterdam. Worthy of note is the opportunity to extend this journey by 3 days with Vantage. Pricing includes accommodations, 2 breakfasts, walking tour, city host and regional experts, all transfers and baggage handling as permitted. This seems like it might be just the right balance of independence and orientation we would enjoy in a city new to us. Betsy will be able to check off a bucket list item: The Anne Frank House. And there will be plenty of time to explore on our own. Other incentives: Gratuities for local guides and drivers now included, free single supplements as available, free Vantage Deluxe Concierge Service for personal requests, Cruise Director services, Vantage 5% Travel Reward toward next Vantage Memorable Journey. Purchase airfare from Vantage for complimentary airport transfers, government taxes and fees, and fuel surcharges. Complimentary wine, beer and soft drinks with every dinner. Shipboard commentary, regional experts and private motor coach for excursions. All transfers and baggage handling overseas included. Reviews: Experienced river cruisers and first timers alike gave high marks. Even though we’ve visited France several times, this itinerary promised a deeper dive into specific interests in a region we love. Main Details: Vantage’s MS River Venture (rated best on the Seine) provides a very intimate, unhurried voyage, with no more than 136 passengers. This is a panoramic journey which is available March through October for 11 days with 9 guided tours included. These dates will have a particular focus on Monet’s Studio and Gardens, the Museum of Impressionism with lecture on French Impressionists, the locations of paintings in Honfleur and Rouen, and a private after-hours tour of the Louvre. This date is perfectly timed to coincide with the D-Day anniversary and provide a closer look at military history. Highlights include visits to the Rommel WWII headquarters at La Roche-sur-Guyon and the ruins of Chateau Gaillard, built by Richard the Lionhearted when this was part of England. A WWII lecture by expert Nigel Stewart will serve to refresh travelers’ base of knowledge. This date is timed to take advantage of the annual Fete de la Musique national music celebration in Rouen. Special on-board cabaret and jazz ensemble performances, an organ concert in Caudebec en Caux, and traditional music and dance during lunch at Abbey Valasse will entertain travelers. Food and Drink: This trip reveals the unique art of European cuisine with activities designed for foodies and bon vivants alike. Focusing on gastronomy with samplings, cooking demos and lectures, travelers will savor local favorites in a variety of excursions: a gourmet walking tour in Rouen, liqueur tasting at a Benedictine Abbey, and cooking demonstration of Normandy-style mussels. Culture: Impressionist art enthusiasts will appreciate the excursions to Honfleur – the birthplace of Boudin with 15th century church and atmospheric open air markets, and Giverny, the mecca for Monet and gardening fans alike. A Normandy D-Day Tour encompasses a full day including the landing beaches and American cemetery. Since we have already spent a full day with private guide at the beaches, cemeteries and other sites during a previous trip, we look forward to biking Honfleur and perhaps the village of Berville-sur-Mer. We are also offered a choice of touring the Caen Peace Memorial or the Bayeux Tapestry. Since we missed seeing the Tapestry during our visit in 2014, we’d choose the audio-visual tour here. In Paris, we also have a choice to make: We’d pass on the panoramic city tour of Paris including Notre Dame as we’ve visited the city several times already. Instead, we’d likely opt for the walking tour of the Marais, on the right bank encompassing the 3rd and 4th arrondissements. We love the pre-Revolutionary and medieval vibe in this district, and look forward to walking the cobblestones at the site of the Bastille, the historic Jewish quarter, the glass Opera, and what Napoleon referred to as the jewel of Paris: Place des Vosges where Victor Hugo lived. Optional: It would be hard not to opt for the extra excursions to Pont du Gard with its Roman aqueduct near Avignon or walk the Auvers-sur-Oise in the footsteps of Van Gogh. Very tempting also are the optional multiple day extensions in Paris (3 days) or Avignon, Lyon & Provence (6 days) with city hosts and regional experts as well. Out of the two latter choices, we’d probably pick the 6 days option, because of the opportunity to sample the “king of wines,” Chateauneuf-du-Pape, and sample Provencal cuisines. Reviews: Experienced cruisers and newbies in 2016 rated this cruise as very enjoyable and exceeding expectations. This cruise epitomizes what we typically think of when we think European River Cruise: traveling multiple fabled watery highways through some of Europe’s most fascinating locations. 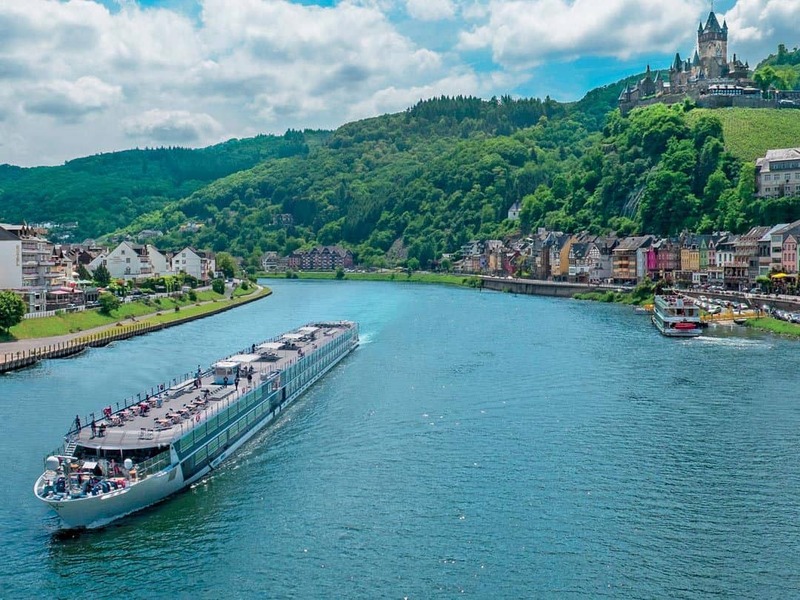 Main Details: A 15 day luxury journey on the Rhine and Moselle Rivers aboard the MS River Voyager – the newest, most luxurious member of the Vantage fleet with no more than 176 passengers. Itinerary includes 11 guided tours and a home-hosted dinner showcasing the rich culinary traditions, exceptional regional wines, spiritual and religious history. Offered in May, August, September, October and November. Four countries: The Netherlands, Germany, France and Switzerland. Special Departures: Three Fall Harvest Departure dates include additional wine-related features, such as exclusive tastings, additional cellar and vineyard visits, and the opportunity to participate in the grape harvest. Food and Drink: Complimentary cooking and cocktail demonstrations in intimate groups, multiple estate and winery tastings, beer tastings, tours along the Alsatian Wine Route. 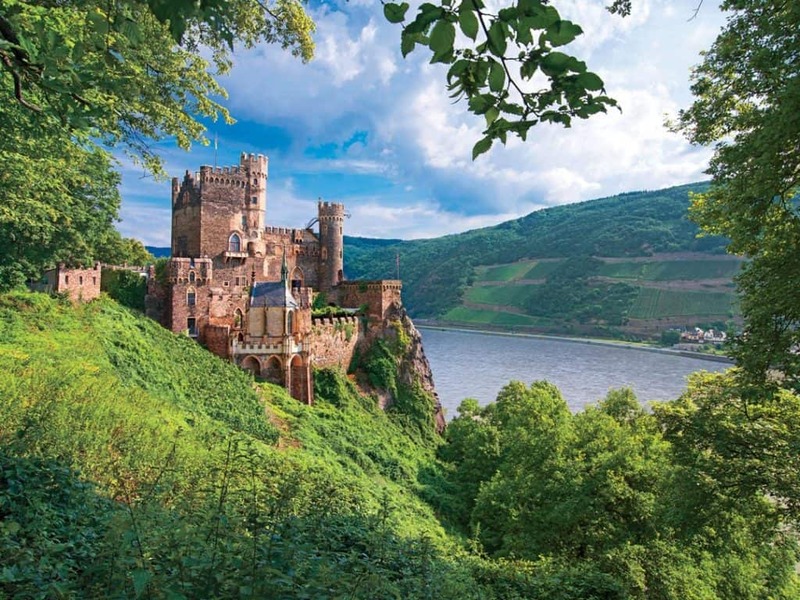 Culture: Fairytale-like scenery along the Moselle and Upper Middle Rhine Valley. Towns along the way are picture perfect with ancient cobblestones and half-timbered architecture: Colmar, Strasbourg, Bernkastel, Cochem, Boppard, Basel. Travelers will visit Trier including the Roman amphitheater, Freiburg (the “jewel of the Black Forest”), enjoy guided tours of Reichsburg Castle, the storied Gutenberg Museum – home of the Gutenberg Bible, and Speyer (including Speyer Cathedral). Optional: Additional tours are available. The Luxembourg Full-Day Tour to the American Cemetery and Memorial includes time for panoramic city tour and independent exploration. 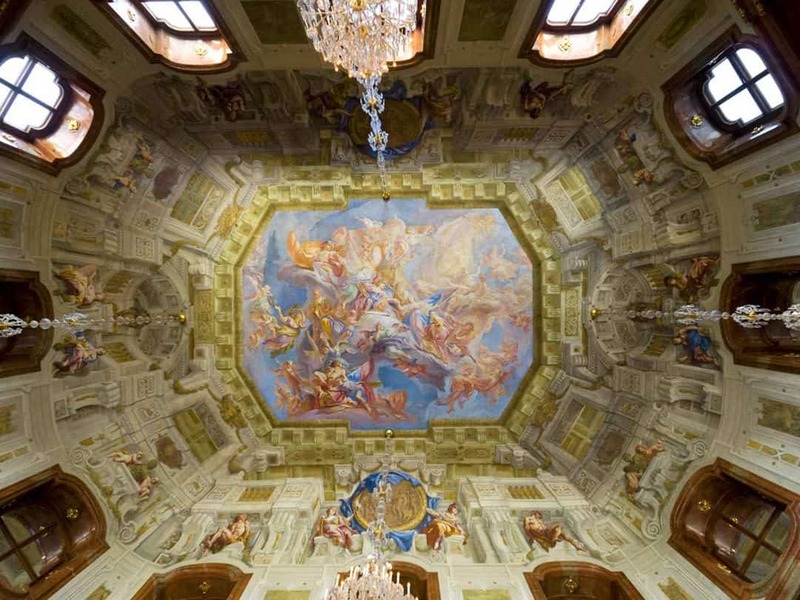 A Black Forest Afternoon Tour travels from 200 to 3,000 feet above sea level within 15 miles to a Black Forest cake making and tasting, with time to shop for traditional Black Forest cuckoo clocks and liqueurs. Heidelberg Afternoon Tour takes you to the famous Gothic-Renaissance castle and the enormous Heidelberg Tun wine barrel. Having already visited Heidelberg, Betsy is leaning toward Luxembourg out of the three in order to get another stamp on her passport. Optional trip extensions: Lucerne includes 3 days, walking tour and pub crawl with accommodations and breakfasts. Barcelona includes 4 days with accommodations and 3 breakfasts and city tour. Each extension comes with the services of a City Host, regional experts, transfers and baggage handling where permitted. Were we to select one of these, it most probably would be Lucerne, as we’ve visited Barcelona frequently. Reviews: Nothing less than five stars from all reviewers in 2016 with special mention of key staff members. Identify your travel style. What aspects of your personality tend to be the most prominent when you’re traveling? Are you the life of the party, or a bit more reserved? Do you like a fast pace which covers a lot of ground, or do you prefer more time to savor fewer experiences in greater depth? Do you immerse yourself in all the planning details, or would you rather that logistics are handled for you? Which destinations resonate with you most? While we might think that most river cruises concentrate on European itineraries, it’s possible to cruise on smaller vessels on every continent. If, as a first timer, you feel more comfortable starting in Europe, which countries would you like to visit? For American travelers, family heritage often comes into play. Others may have studied German or French in school and would enjoy the chance to practice. What cultural activities appeal to you? Many travelers want an immersive experience that zeroes in on specific historical eras, such as World War II or the Middle Ages. Others are interested in gastronomy: the great foods, wines, liqueurs and beers that specific regions boast. Art lovers will find deep meaning in visiting the places which inspired world-renowned painters and sculptors. Architecture buffs will be fascinated by structures dating back hundreds or even thousands of years, as well as contemporary buildings. Establish comparative rules of thumb. Vantage, for example, gives you a convenient per diem pricing benchmark from which you can assess value. Take note of what’s included (and what is not if assessing competing providers). 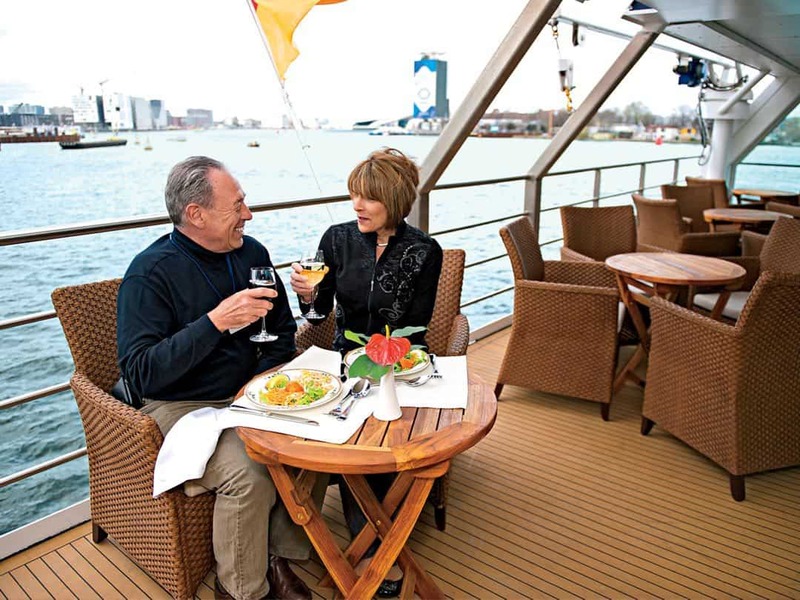 Vantage pricing includes port charges and off-board gratuities; other providers may or may not. Vantage’s website has a very helpful compare and save grid for each itinerary which goes head to head with other competitors so you can evaluate aspects such as cruise-only pricing, trip length, per diem costs, cabin upgrades, inclusions, number of meals, and more. Consult with people who are in the know. Don’t be afraid to utilize resources and in-person knowledge. Vantage offers telephone and email consults, downloadable planning guides and checklists, detailed maps and itineraries. Travel bloggers and writers – like us! – can offer valuable perspectives. Friends and relatives who have traveled will have their views. Take all the information in and use it to frame your short list of options. Take your time in deciding, but don’t take too long. People have different decision-making styles. Some go by instinct – which can seem impulsive to a more deliberate person, others keep thinking there might be a need for more information long past the time when there is a sufficient amount to make a good decision. Don’t disappoint yourself by waiting so long that your preferred sail date is sold out. 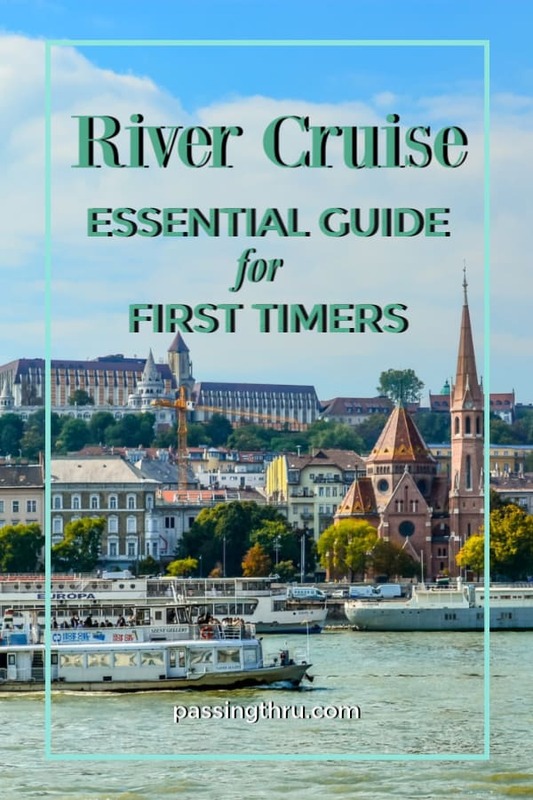 We hope you have found this discussion on choosing a river cruise as first timers helpful and informative. Please don’t forget to enter the contest for a free cruise for 2 courtesy of our friends at Vantage Travel! Can’t win if you don’t enter! Disclosure: This post was written in partnership with Vantage Travel. If you click through any of the links in this post, we do not receive compensation, but Vantage Travel will know that this post influenced you to seek more information. We’ve been on over 10 ocean cruises, but we have yet to try a river cruise. You really given me a good starting point for investigating some of the options. Would you believe I’ve been to Argentina and Laos, but never to the Netherlands? However, I have been to Bruges. I think you’ll find ample amounts of beer, cheese and chocolate to keep you happy if you choose that itinerary. Try the cherry beer. Hi Suzanne – Yes, I’ve long been under the impression that people use river cruises to get their traveling feet wet. There are plenty of popular European destinations we’ve not yet visited either, including the Netherlands and Italy – which are typically some of the first places most people go. I agree that including Bruges is a big advantage in the first itinerary! Glad you found this post helpful. Thanks! We’be been looking into river cruises recently. We have never been on one, but it seems that I need to prioritize it higher now! Thank you for providing your thought process on how to choose which cruise is right for you. Hi Suzy – Glad you found the post helpful! PS – post linked to … includes reference to Fermor …. Hi Hilary – Like you, I hadn’t considered river cruising, but I am beginning to change my tune. We did a very enjoyable overnight cruise on Halong Bay in Vietnam last year that got me thinking. I did a full day cruise on Halong Bay as well as touring the rest of Vietnam from Saigon (Ho Chi Min City) to Hanoi, and have cruised the Nile and the Yangtse, but find the idea of river cruising Europe or Russia, quite appealing. Many of my prior trips have involved the regular move of accommodations from one room to another, so taking your room with you holds much appeal. Hi Chris – Yes, it really does! What a great post, Betsy! It has given me a lot to think about. I’ve been wanting to take my sister on a European river cruise. 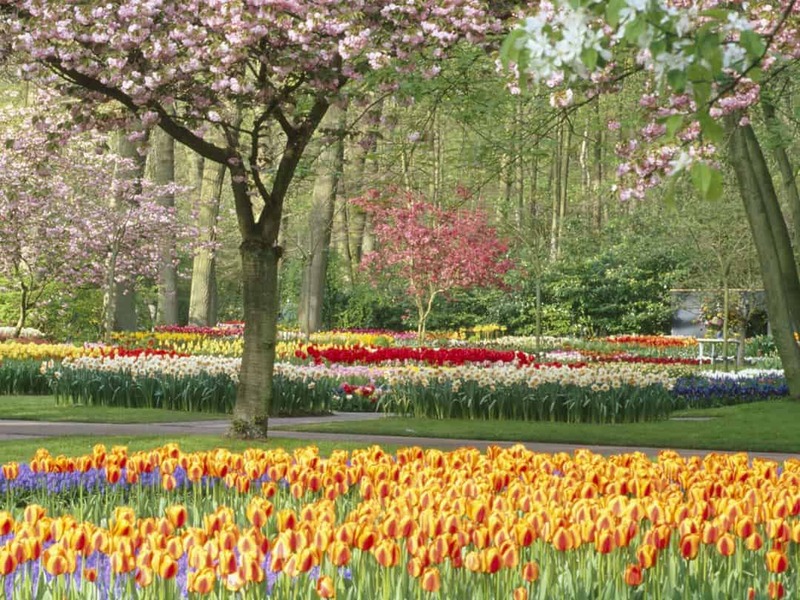 I would adore the Holland Tulip Time trip, since it’s my favorite European country by far. But I have been to most of the stops. So probably the Rhine-Moselle would be a better choice. In any case, you have given me some tools to help with such a decision. Well done! Hi Betsy. I didn’t think I’d like river cruising but, I loved my overnight trip on the Mekong Eyes even more than the Halong Bay trip. So I would defo consider a European cruise. Hi Cath – We loved our Halong Bay trip, too and it got us thinking how fun it would have been to stay on the boat longer. Would love to try out one of these itineraries! Cruising is one of the best ways to enjoy our holidays. If we want to spend a peaceful and full of a fun journey than yacht is the most suitable option. Well, thanks for letting me know about river cruising and keep posting. Great tips. Thanks for sharing, Betsy. I’ve never been on a cruise before, maybe I should try one day. We have been thinking about doing a river cruise for such a long time. We have done a couple of ocean cruises before but I really would like to do a river cruise in Europe. You have given us all the information to make an informed choice. Thanks for a great informative article. Hi Guys – Yes, we have still yet to do one and would love to make it a reality.